A new school term is coming, and many students are preparing school supplies for back to school. It’s a good news that some school supplies such as pens, notebooks are sold on our 123ink.ca, here you can enjoy affordable price and high-quality goods. Following I would like to recommend some school supplies students actually want to use. The fun shapes and bright colors liven up your message. It’s so comfortable that you can stick it into your books, desk, and everywhere in our home. It has 75 sheets per pad, 2 pads per pack. Economical self-sticking notes are repositionable and designed for light-duty applications. A quick note can be stick anywhere. Each pad contains 100 sheets and 12 pads per pack. These ballpoint pens offer durable and smooth writing, it is ideal for school and home use. It features 1.0 mm medium point and has 4 colors: black, blue, green, red. Each pack has 12 pens. These extra smooth 1.0 mm medium ballpoint pen is up to 35% smoother BIC’s traditional ballpoint ink. It features Eady-Glide System ink for ultra-smooth writing, 12 pens per pack. It is made from high-quality steel, the strong grips hold paper and documents firmly. Comes Comes in a pack of 12, and has difference size: 1″ (Cap, 1/2″); 2″ (Cap, 1″); 3/4″ (Cap, 5/16″); 9/16″ (Cap, 1/4″). It can keep documents organized easily, the color-code and flag documents to easily create your own filing system. The paper clips are sold as 100 per pack in assorted colors. Use for removing graphite on paper and matte drafting film or for OHP pen on overhead film. The eraser waste twists itself up into long strands that can be easily removed. BIC® Wite-Out® Brand EZ Correct™ Correction tape in assorted color measures 4.2 mm x 12 m with protection cap and helps to conceal errors on documents. Each pack has 2 pcs correction tape. It is a quality permanent markers so that you can write in a comfortable way, it has assorted colors: black, blue, red and green. Comes 10 pcs per pack. Staedtler is suitable for whiteboards, memo boards and smooth surfaces such as glass and porcelain. They are fast drying, have Dry Safe ink, allowing the pen to be left uncapped for days without drying up. 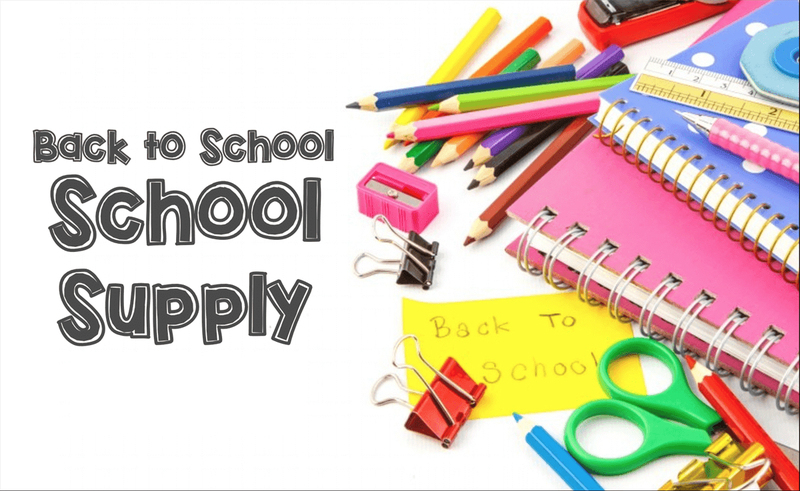 It is a good idea for you to choose school supplies for back to school on our 123ink.ca. There are all kinds of schools items here what you need. Of course, you can get a big discount if you buy more. You can enjoy good quality products and free shipping on all orders over $49.